UBM Malaysia is proud to bring you the leading trade fair dedicated to all aspects of construction and the built environment. 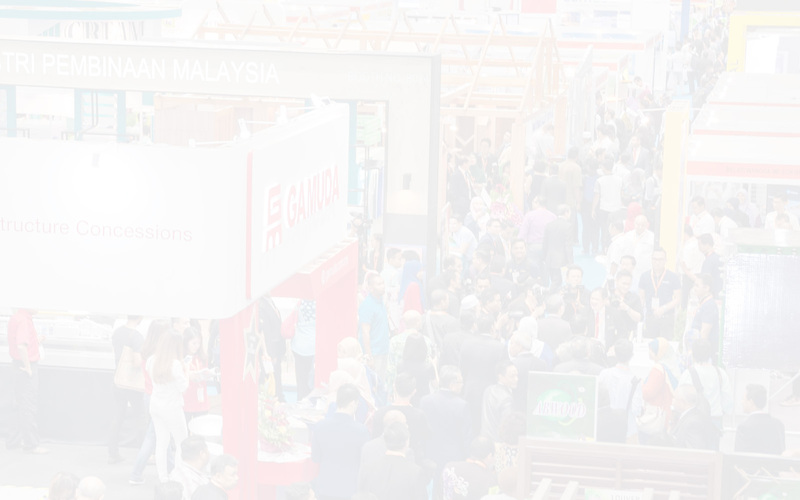 Eight industry leading exhibitions from the ASEAN region will be held under the same roof from 23 - 25 June 2020 at Malaysia’s biggest exhibition venue, Malaysia International Trade & Exhibition Centre (MITEC). As the largest new combined regional exhibition for the construction, HVAC, engineering, energy, heavy machinery & equipment and security industries, ASEAN Super 8 offers unparalleled value to its exhibitors, sponsors and visitors. From top industry players to newcomers, everyone will have the opportunity to showcase their innovations, source for suppliers, make valuable contacts and stay updated with the latest industry trends like never before in this one-of-a-kind trade exhibition and conference. The inaugural ASEAN Super 8 is expected to draw an estimated 20,000 industry professionals and representatives, including Government officials, regulators, manufacturers, contractors, developers, industrial users, consultants, and industry experts. Don’t miss the opportunity to attend this mega event and source for new technologies, industry knowledge, business partners, suppliers and so much more.